This article is courtesy of the Baylor College of Medicine, please share your thoughts below….. There are some moments in life that take your breath away, but if those moments are happening while you’re asleep, it might be time to see a sleep expert, according to a sleep specialist at Baylor College of Medicine. Many people with sleep apnea are not aware of the number of times they are waking up briefly throughout the night. However, this sleep disruption causes them not to feel refreshed or rested when they wake up in the morning. “It’s almost as if someone is waking you up every 10 seconds to breathe and then you go back to sleep,” said Shaib. Sleep apnea is associated with multiple health issues including heart problems, high blood pressure, risk for stroke, poor diabetes control and weight gain. Common symptoms include snoring, stopping breathing and choking or gasping for air that is reported by the bed partner. Other common symptoms are not feeling refreshed in the morning or feeling tired throughout the day. Other signs that could indicate sleep apnea include restless sleep, waking up multiple times to use the bathroom, excessive sweating at night and heartburn or reflux. Risk factors of sleep apnea are obesity and anatomy, meaning that one’s facial structure may cause them to be at more risk for sleep apnea. People with nasal congestion, allergies or who are on pain medications or sleeping pills may be at a higher risk for sleep apnea. A diagnosis of sleep apnea is made through a sleep study. Most patients will have to stay overnight at a sleep center where they are monitored for brain activity, breathing, oxygen levels, heart activity and movement. The sleep study gives a summary of a person’s sleep and experts identify those periods where there is narrowing of airways and oxygen levels are low. Some patients may also qualify for an at-home sleep test if most of their symptoms point toward sleep apnea and no other sleep issue. Once a diagnosis is made, the CPAP (continuous positive airway pressure) machine remains the best treatment for sleep apnea. The machine works by gently blowing air into the windpipe to keep the airway open. “The technology for CPAP machines has advanced and the treatment is usually very well tolerated in patients,” said Shaib. After starting the use of the CPAP machine, which must be used every night, people usually have improved sleep quality, feel more refreshed in the morning and have better daytime function as well as better memory during the day. Patients also see benefits in blood pressure control and a lower risk of heart problems. If patients do not tolerate the CPAP machine, other treatment options can include a custom made oral appliance or surgery. Weight loss, behavioral modifications and treating allergies usually also helps treatment of sleep apnea. “Some patients only have sleep apnea when they sleep on their backs, so another treatment option is to use maneuvers and techniques to help the patient stay off their back,” said Shaib. Shaib notes that young children (3-6 years) are at risk for sleep apnea, especially when they have big tonsils and big adenoids. 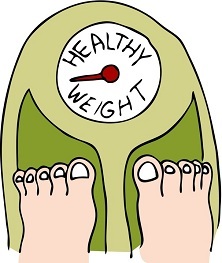 Older children and adolescents who are overweight or obese are also at risk. Symptoms in children include loud snoring and sleeping with their mouth open. However, rather than feeling tired during the day, children with sleep apnea are usually hyperactive during the day and can have difficulty in school. Bed wetting also can indicate the potential for sleep apnea. It’s important to consult with a pediatric sleep expert if these signs are seen in children. There is a spectrum of response from treatment of sleep apnea, Shaib said. Some people say that using the CPAP machine is life changing, making them feel refreshed throughout the day. Others may not feel as dramatic of an effect, but are still benefitting from the decreased health impacts, such as high blood pressure or risk for heart problems. New research suggests that prevention of infections and reducing stress-related illness might be as simple as a hug from a trusted person. The findings of this latest research were published in Psychological Science. It found that the physical act of hugging is associated with protection from the effects of depression and anxiety, as well as lessening the number of stress-induced infections and severe illness symptoms. The research team studied hugging as an example of social support, because hugs are typically a marker of having a more intimate and close relationship with another person. People who have ongoing conflicts with others are less able to fight off cold viruses and infection. The interesting fact is what hugging represents to the participants. They stated that hugging made them feel more connected, more supported, more validated and intimate with the hugger, which had a direct effect on their immune system. The researchers went on to say that those who receive more hugs are somewhat more protected from infection. If you’ve decided that this is your year to be on a health kick, in addition to watching your diet and exercising, you may want to add hugging to your list of daily activities. 1. Studies show people who are hugged regularly by their close friends and family have reduced blood pressure, lower heart rates and feel more connected to one another. 2. People who are contented in their marriages report frequent hugging and non-sexual touching. 3. Couples who report hugging or cuddling frequently also report feeling more emotionally connected to their partner. They also reported feeling more secure than non-hugging/minimal-touch couples. 4. Ten minutes of hand-holding or hugging greatly reduced couples’ reported stress and the harmful effects of stress on their body. 5. The release of oxytocin in the body from hugging helps foster a healthy immune system. 6. Children who grow up watching their parents hug feel more secure and perform better in school. As you begin the new year, don’t forget the most important gift you can give all year round, the gift of belonging, being valued and being emotionally connected to your loved ones. Something as simple as a hug can provide those feelings and it doesn’t cost you a thing.